Since the conceptualization of “Bahrain for All, All for Bahrain” in 2012, many hidden talents received a platform to showcase their skills where they were welcomed and appreciated by the Kingdom. Yousif Hayat is one such great talent who has proved his unique skills in the photography. Yousif Hayat’s journey as a much sought after photographer in the Kingdom, in one of its own. As a child, Yousif attended school but was so active that alarmed his teachers. They thought that he was naughty and disobedient. His father is a cameraman and noticed that Yousif was more interested in cameras than academics and decided to nurture his son’s talent. Thus, the 25 years old came into the world of photography as a child. A few years later since his father had introduced the magic pf photography, Yousif enrolled and completed a course in photography. During this course, he was taught how to properly hold a camera; use all the functions, and what to look for while taking photographs. Although Yousif suffers from severe ADHD (Attention Defecit Hyperactivity Disorder), photography raised him into a career that he enjoys where his constant movement and search for different things and different faces were added advantages. “In Bahrain, in the 1990s, no one talked about special needs and disabilities, and they didn’t understand me. When I was about six, I was diagnosed with ADHD and since then, my parents have worked hard to understand my condition and help me in the best way they can.” Yousif told. “We at Bahrain for All are proud to have Yousif as part of our organizing team. He is an important member of the photographers and videographers team for all our events, who ensure that we have high quality images and videos for post event use.” One of the event organizers in Bahrain revealed. own office and takes the public transportation for everyday commutation. 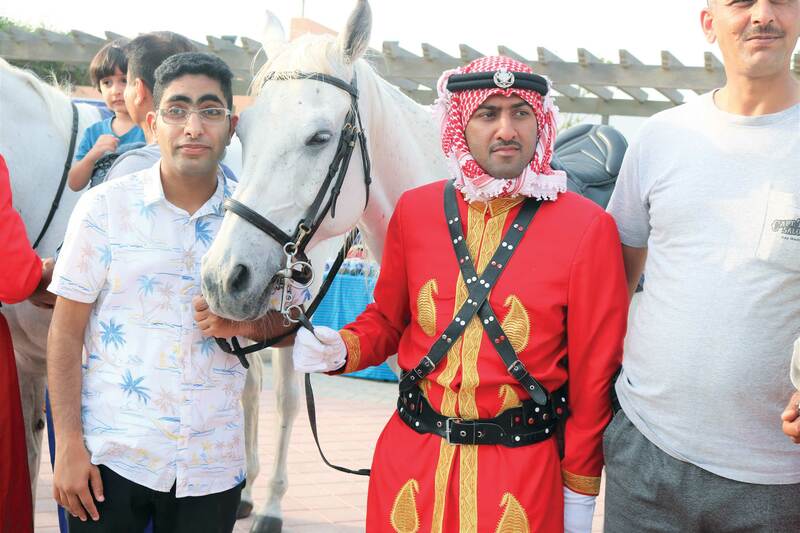 Apart from Bahrain, Yousif has also travelled and taken photos in Jordan, India, and Saudi Arabia.